Cloud MLX today announced deals making its front-end MLS interface available to subscribers of two California multiple listing services: the 7,000-member Bay Area Real Estate Information Services (BAREIS) MLS and the 4,000 plus-member San Francisco Association of Realtors (SFAR) MLS. Real estate agents who are members of BAREIS and SFAR will now be able to view listing information from BAREIS MLS, SFAR MLS, BridgeMLS, Contra Costa Association of Realtors and Bay East Association of Realtors from the Cloud MLX interface, all at no charge. Furthermore, members will be able to use W+R Studios’ Cloud CMA (an online property report generator) and listing alert service Cloud Streams, which are integrated with Cloud MLX. “This also gives MLS providers an innovative, modern tool to supplement their traditional MLS system,” he added. 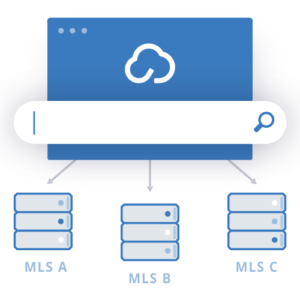 Cloud MLX launched in May 2016 as a way to make the MLS search process more efficient for real estate agents, who often need information from a variety of MLS databases. “Theoretically, we could have any type of MLS System under Cloud MLX and multiple MLS providers, and all those databases are still separate,” explained Robertson in a blog post. In addition to a quicker search process, agents have access to instant messaging, listing hashtags, single-click listing sharing with clients, and search tools that include circling specific neighborhoods on a map or using broad terms such as “close to neighborhood parks” or “close to the beach” to find listings. This announcement comes on the heels of the nation’s largest MLS, the California Regional MLS (CRMLS), adopting Cloud MLX as one of the front-end interfaces of choice alongside the CoreLogic’s Matrix and Black Knight’s Paragon platforms. Cloud MLX also serves Realcomp in the Detroit area, Charleston Trident MLS, First MLS in Georgia, Northern Nevada Regional MLS, San Francisco MLS, BAREIS in the North San Francisco Bay Area, and NTREIS in the Dallas area, bring their reach to at least 178,000 agents, brokers and appraisers. “Our agents have been asking for their MLS search to be as simple as surfing the web,” said BAREIS MLS president and CEO K.B. Walter in a statement.